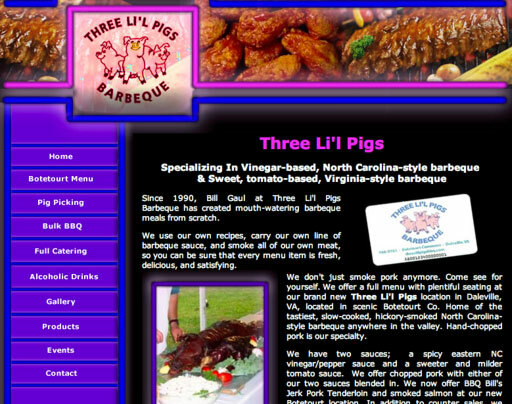 The website design for Three Li'l Pigs Barbeque was technically a "re-design", however, very few elements from the previous site were used by us to create the new site launch. The client's previous site was dark and very heavy, links were peppered throughout the site in a multitude of crazy colors, and many of them left you stranded on a page with no escape. 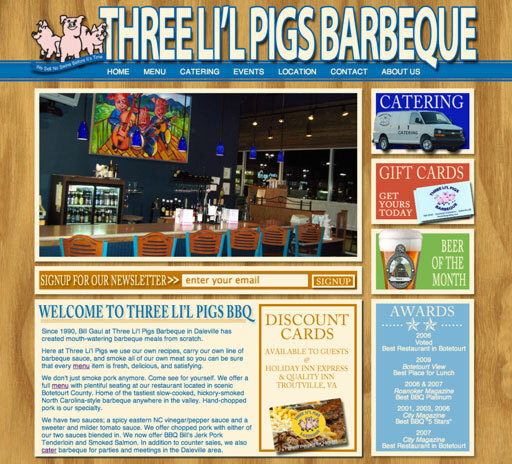 Our fresh design of the Three Li'l Pigs BBQ site uses current web-standards and progressive enhancement to give the user a clear direction and increase the overall user experience. After careful examination of the design of the previous site, we felt that the overall design and color choices did not quite connect to the feeling that you have when you actually walk into the restaurant itself. 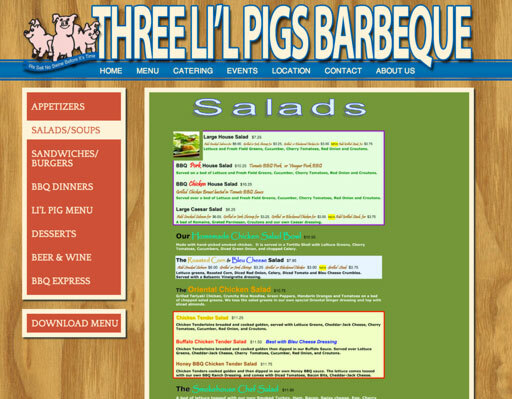 The interior of Three Li'l Pigs BBQ is colorful and cheerful, adorned with bright neon flying pigs and rough-cut pine sided walls; not the feeling we had when we first viewed the old site. 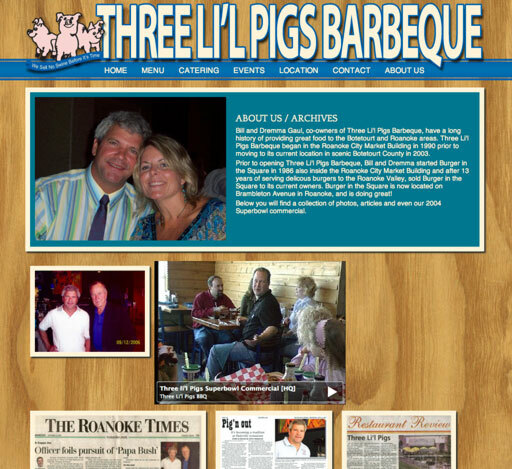 A review of the restaurant described Three Li'l Pigs BBQ as having an "urban lodge" feel. 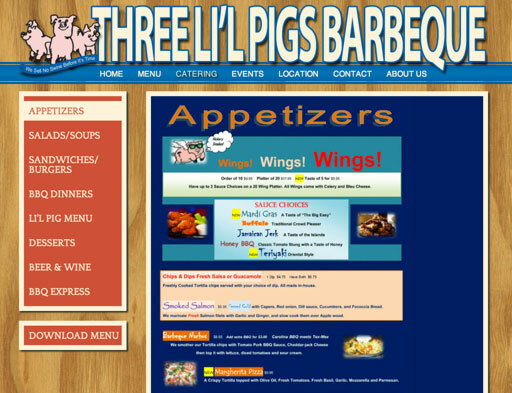 We could not agree more, and this is the direction we took in designing the new site for Three Li'l Pigs BBQ. The color palette is taken from a large painting of three pigs that the owners had commissioned for the restaurant and the wood grain background almost exactly matches the wood found on the restaurant's table-tops.